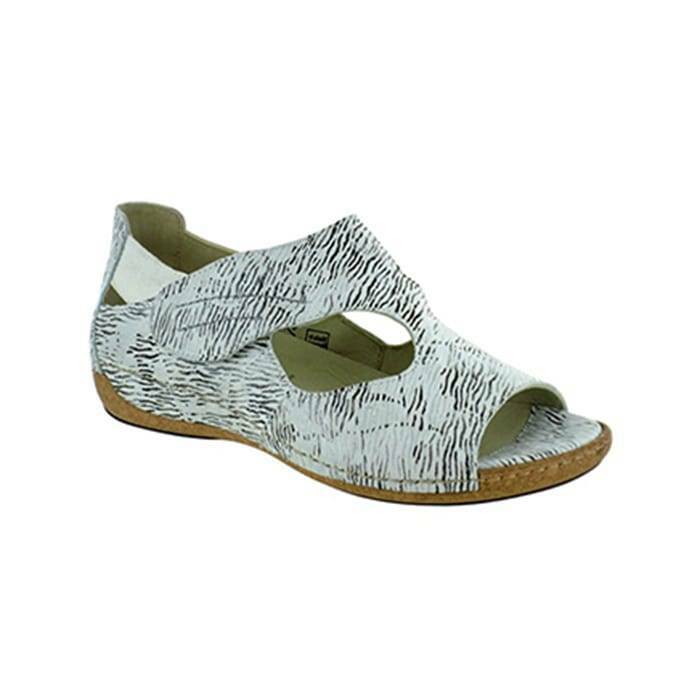 The Waldlaufer Bailey Parchment Print is a closed heel sandal with diagonal velcro strap which gives it a modern twist. This sandal is beautiful on the foot and is the perfect walking sandal for the Spring and Summer. The Bailey also has a removable leather lined insole that makes it orthotic friendly. This Bailey is also leather lined with an adjustable velcro strap. Although the Bailey fits a wide to medium foot, it also is good about holding a narrow heel. You will turn some heads and step out in style with this closed heel sandal from Waldlaufer.